‘Tatara Samurai’ Released in U.S.
You are at:Home»English»Life & Arts»Film & TV»‘Tatara Samurai’ Released in U.S. The L.A.-based distribution company, whose recent titles include “The Legend Is Born: Ip Man,” “Uzumasa Limelight,” “Sailor Moon R: The Movie,” and “Sword Art Online The Movie: Ordinal Scale,” released the film, which is produced by Exile Hero, on June 2. 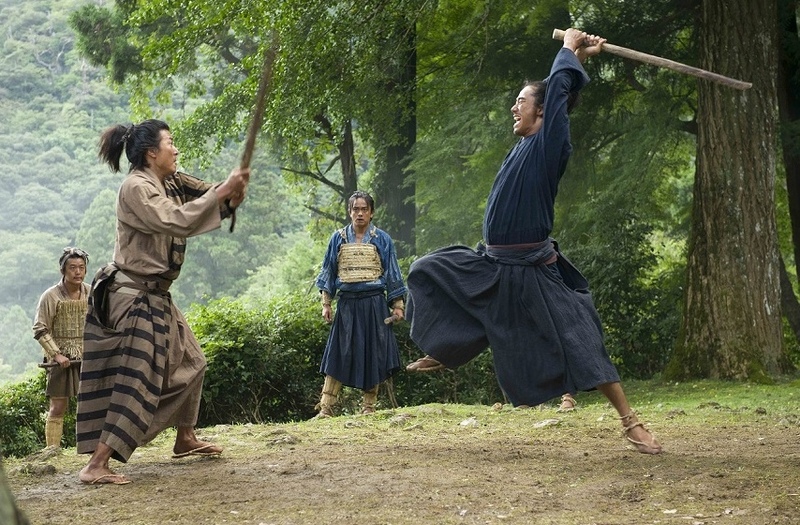 “Tatara Samurai” is the latest feature from director Nishikori, whose films “Konshin” and “Railways” were box-office smashes in their native Japan. His latest historical epic stars Sho Aoyagi (“Yakuza Apocalypse”), pop star Naoki Kobayashi, Akira (“Legend of the Fist”), Tomoko Tabata, and Anna Ishii. Gosuke (Aoyagi), a young villager in Sengoku Period Japan, is trained to be a blacksmith, but forced to become a warrior. After joining the Oda Army to protect his hometown of Tatara, he begins to question whether swords are a viable defense against the new technology of firearms — but soon discovers that his skill as a blacksmith might very well be the most powerful weapon he has to protect his home. A premiere with the cast and crew was held last month at Hollywood’s Egyptian Theater. For more information, visit www.elevenarts.net/tatarasamurai/. 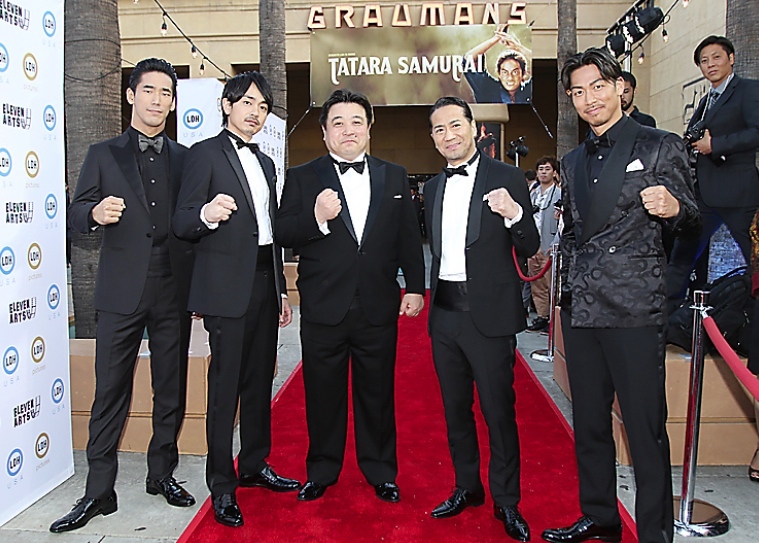 Pictured at a red-carpet event on May 8 at the Egyptian Theater are (from left) Naoki Kobayashi, Sho Aoyagi, director Yoshnari Nishikori, Hiro, and Akira.